The committee at the foundation and aeronautics sports association who are the main organizer this year agreed to sell ticket for Pattaya Sun & Fun for 80 baht. Tichets are half price for anyone who is wearing a yellow shirt. However, all pilots or staff from any flying club, if they don't receive the invitation, they may register to get a free pass at the information gate in the front. FREE FUEL ON LAST DAY -- We just got a confirmation from Group Capt. Veerayuth that Sun & Fun will support all fly-in airplanes who come to join Pattaya Sun & Fun by filling up the fuel for free (Avgas or 95 Unleaded) on the last day to fly out of Pattaya Airpark only. 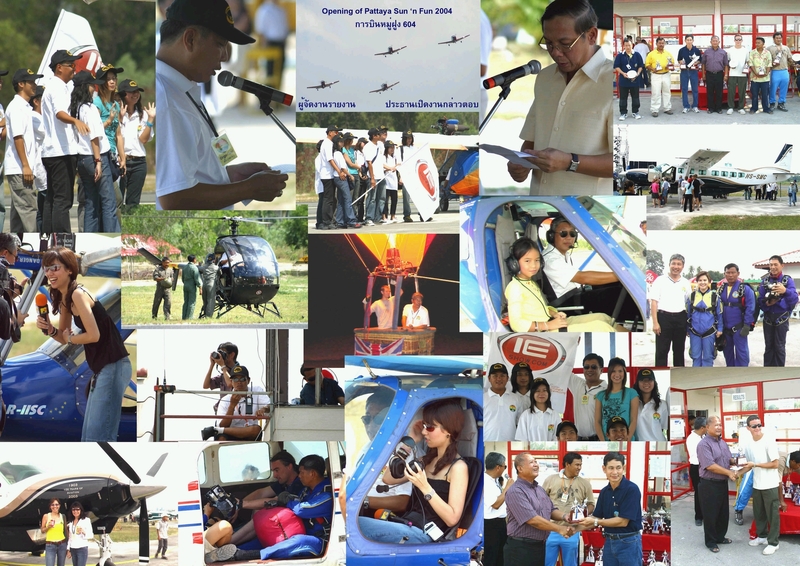 During the fly-in and competition, fuel will be for sale at cheaper than normal market price. HOTEL -- www.sawasdee-hotels.com is offering 15% discount off "walk in" rates for visitors to SUN & FUN. Pick up coupons from Neil at Pattaya Airpark (063741718). TRANSPORT -- FREE van will be running from 9am - 5pm between Sukhumvit (in front of Tesco Lotus Teppasit) to the airfield. Miss Siam is coming to Sun & Fun 2006. There will be BEER GARDEN TENT and music Friday and Saturday Evenings. Camping available at the airfield. Transport by van from Sukhumvit Road (in front of Tesco-Lotus Teppasit) to Pattaya Airpark everyday. Call Neil for specific details -- 063741718. 1. The Aeronautic Sports Association has a new official name = Aeronautic Sports Association of Thailand under His Majest The King's Patronage as we have just received the permit from the King. Inbound form north: Report 5 Nm Inbound then join Romeo point (2.5 Nm north of the field, Reservoir) at 2000 feet and hold (wait for landing clearance) then decent cross the airfield not lower than 1500 feet for join base leg at 700 feet, Ultra light 500 Feet. Inbound form south: Report 5 Nm Inbound join Yankee point (2.5 Nm south of the air field, Wat Yarn) at 2000 feet and hold (wait for landing clearance) then decent to join base leg at 700 feet, Ultra light 500 Feet. In this case, pilot must report the situation to controller, clear RWY and all area for safety condition and broadcast to stand by RESCUE team. 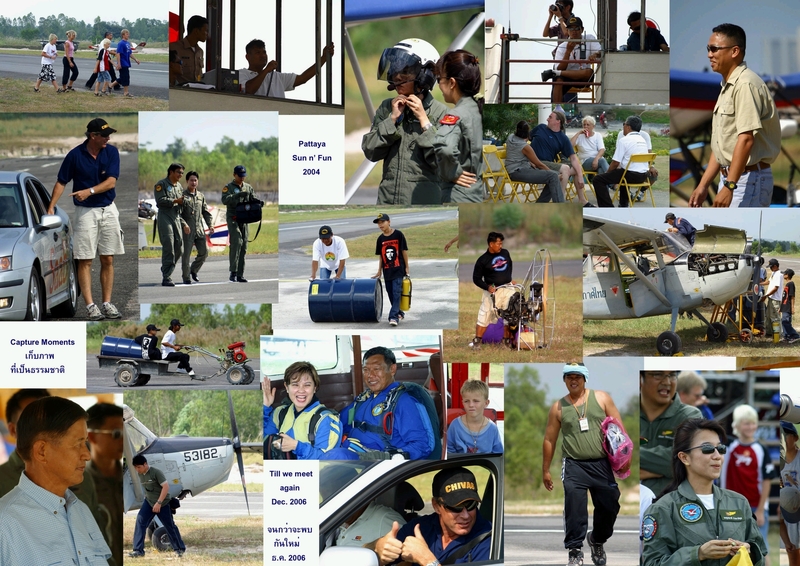 There will be an aircraft display featuring aircraft from Tango Squadron, 604 Squadron, Thai Navy, Thai Army, CATC, SGA, Forego Aviation Club, Thai Flying Club, River Kwai Flying Club, Chiang Mai Flying Club, CMT Flying Club, Eastern Flying Club, Ayutthaya Flying Club, Aerothai, Police Airwing, Bang Chong Flying Club, Klang Flying Club, ATS Aircraft, Sri Racha, Pattaya Airpark, Bang Bung. Activities at Sun & Fun may include: "Penalty Kicks" - soccer goal shooting by Paramotor, Spot landing competitions, Flour bombing, and a very special "Coast Rally & Treasure Hunt." 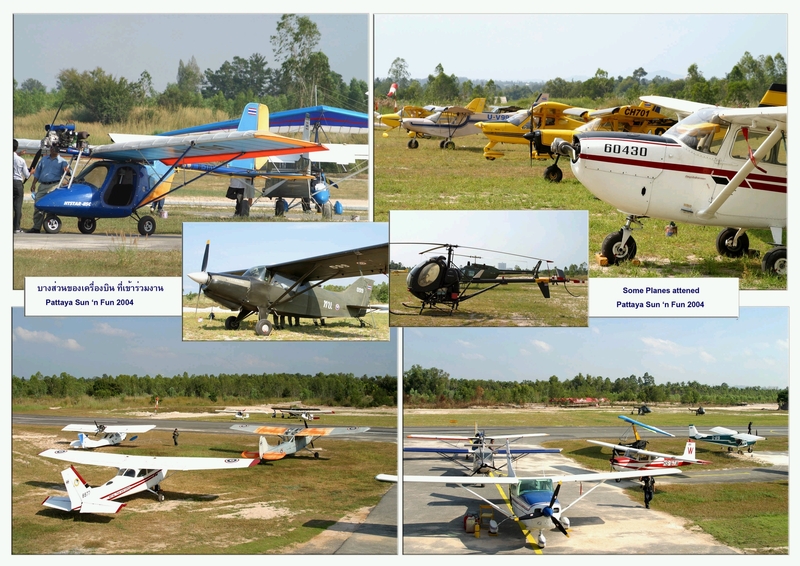 Aircraft and Ultralights will fly a route from Pattaya Airpark along the coast of Jomtien and Pattaya in search of photographic images that they have been given just prior to taking off. Some are easy, and some are hard. The aircraft and crew that spot the most features on the ground will be the winner. No circle-turns are allowed (spotters will be placed on the ground), so aircraft have to look carefully and fly the course along the beach then back to the airport. Trophies will be awarded to the winners of the aviation activities. 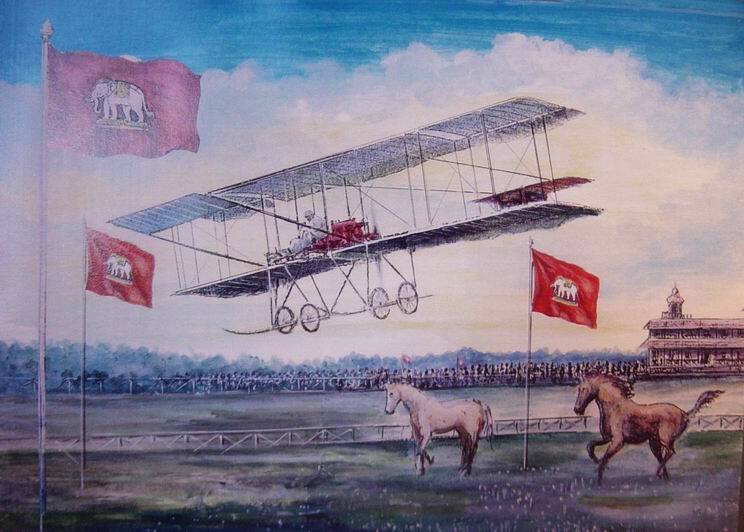 In addition, there will be a MISS FLY-IN beauty contest and awards presented for the furthest aircraft visitor, the best turned out aircraft, the best designed panel, the best antique aircraft, the best pilot uniform and many other prizes to be announced in due course. 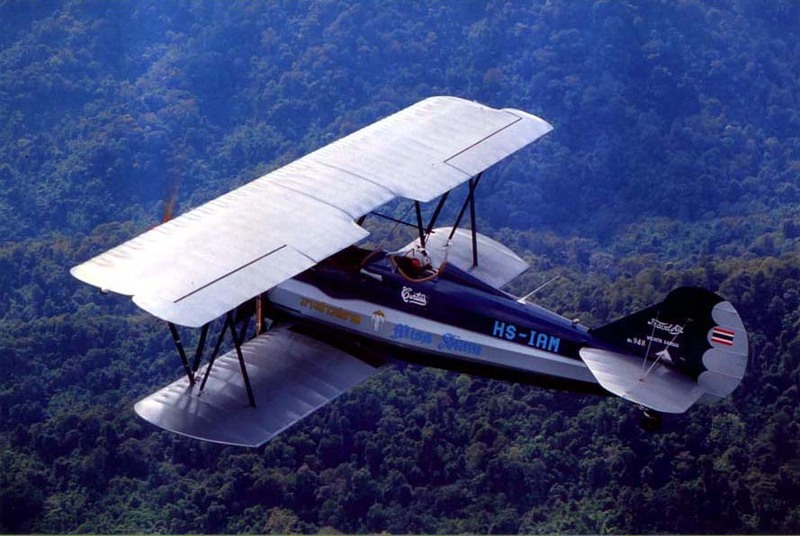 Sight-seeing flights may be offered in the O-1 and T-41 aircraft and in the CATC Engstrom helicopter with proceeds to benefit the "Sai Jai Thai" Foundation. Skydiving and Aerobatic demonstrations will be performed. 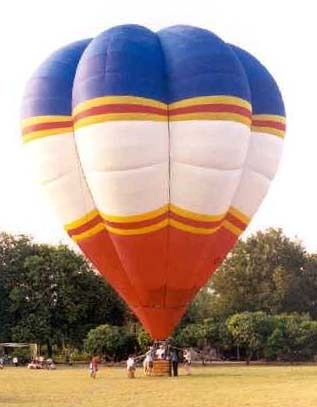 Hopefully, David will bring his balloon to grace the skies as he did last year at Oshtak. There will be Radio-controlled aircraft and helicopter competitions and over 100 booths with food, toy aviation models, all flying clubs represented, Thai Tourism Authority, Lufthansa Vintage cars, Aviation Groundschools, Radio-controlled aircraft sales, Propeller manufacturers, John Deere tractors, 4 wheel drive motor show, Harley Davidson Motorcycle show, Food and Beverages, Beer gardens, Look tung dancing, Flight simulator game shows and demonstrations, Plastic model aircraft, Nautical and sailing supplies, a Forum on fabric covering, homebuilding your own aircraft, metal sheet work, carbon fiber construction and just about anything else you can think off. This is it - General Aviation and Flying Fun in the Sun. If you thought Oshtak was fun last year, then you won't be disappointed by Fun & Sun 2004. 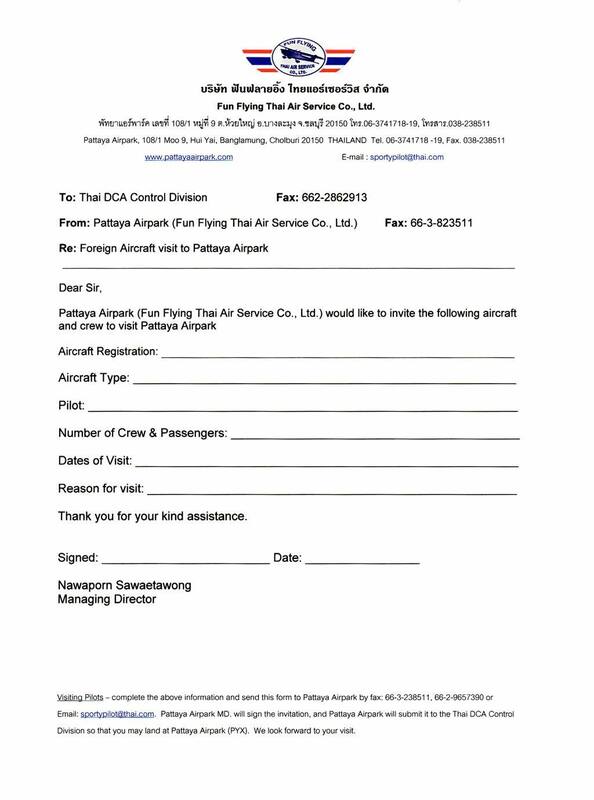 Foreign aircraft should fill out their Foreign Aircraft Flight Clearance Request and Letter of Invitation and fax to Nawaporn at Thailand fax -- 66 + 2 + 4381139. Khun Nawaporn will assist and advise on all foreign aircraft flight clearances. There is customs and immigration clearance at U-Taphao Airport right next to Pattaya Airpark. Pattaya Airpark runway is 570 meters long x 18 meters wide. 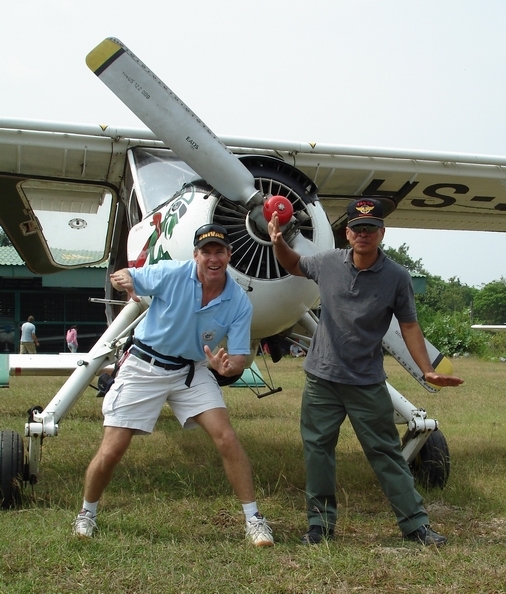 More information on Pattaya Airpark Airstrip. If your airplane is too big to land at Pattaya Airpark, then you can leave it in U-Taphao and drive in or arrange for us to fly and pick you up. If you have any questions, you can Email Nawaporn. 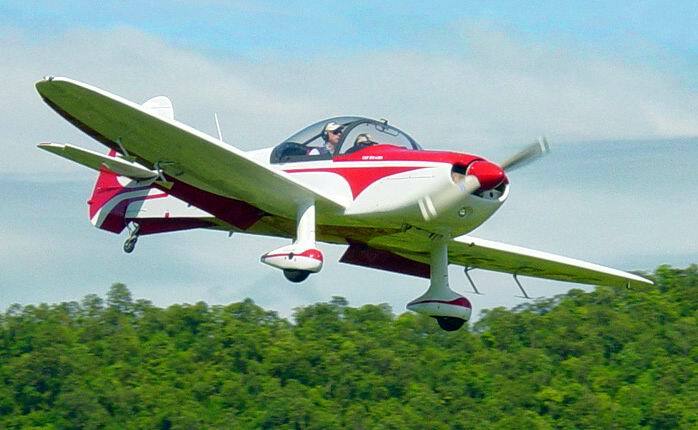 We are hoping to see many EAA flying friends from Malaysia and our FASI flying friends from Indonesia and of course our regular enthusiastic flying friends from Singapore and Australia. If you would like to have a booth at Sun & Fun or if you would like to suggest an activity or event at the Fly-In, please Email Nawaporn with your ideas or questions. Camping at Pattaya Airpark is 300 Baht per night for visitors (Free for pilots and their passangers) or we will provide a list of nearby hotels that you may contact to arrange your stay during Sun & Fun. - Rent a Motorcycle in Pattaya (150 Baht / day) call PON 059058752.